Integrate Fergus with Plumbing World to have your invoices sync through automatically. Save yourself admin time and cut out costly mistakes, now you can automatically sync invoices from Plumbing World straight into Fergus. Simply activate the integration from your Plumbing World account to get your work flowing. This will open a new window which will process the connection, then redirect you back to Fergus. Congratulations, your Plumbing World account is now in sync with Fergus! Invoices sync every five minutes. N.B. 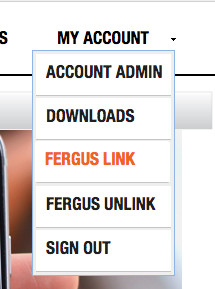 You can only link 1 Plumbing World account to 1 Fergus account at a time.